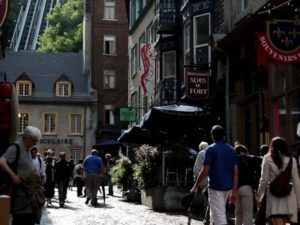 The “QUÉBEC CITY EFFECT” or why visitors feel so at home here. Life is good in Québec City! Residents are used to hearing this from visiting friends and relatives. And they’re not the only ones. Hospitality industry people hear it, too. So what’s behind this feeling of well-being and what makes a visit to Québec City such a great stress buster? Hello! My name is Suzanne Voisine. 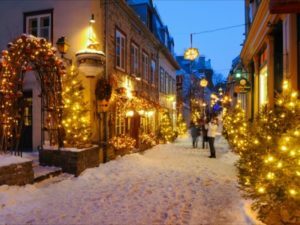 I am the Sales Manager, Associations, at Hôtel Château Laurier Québec and I’m going to explain what I call the “Québec City effect” and suggest a few outings that will help your clients make the most of their visit! THE VOTES ARE IN: VISITORS LOVE THE LOCAL HOSPITALITY! It’s true that Québec City is clean, beautiful, and a people-friendly size. But its secret ingredient is—its people. And that’s not just me, or people being polite! In 2016, Léger Marketing surveyed 2,500 visitors to the region on behalf of Québec City Tourism. In response to the question “What do you think the Québec City region’s main strengths are as a tourist destination?” 23% of respondents said “the warm and friendly people” as the main strength, right after “the wealth of heritage sites,” which was chosen by 33%. And for visitors from outside Canada and the United States, local hospitality was the top asset for 42%. Québec City residents are immensely proud of their city, which is why they’re happy to lend a hand to visitors who stop them for help on the street; they also love sharing their pride by chatting with visitors whenever they have the chance. Québec City’s reputation for friendliness isn’t just an impression then. 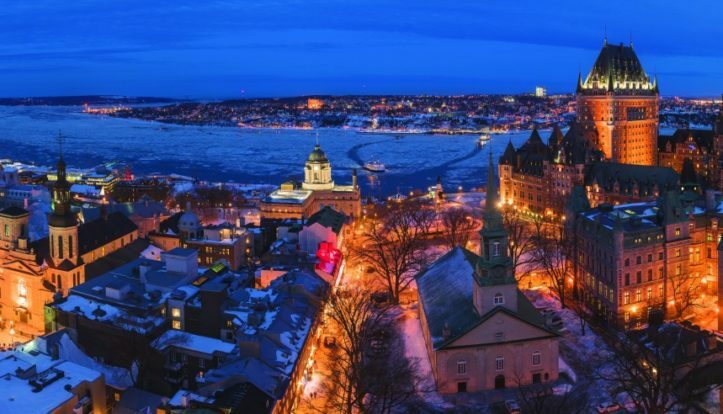 But there is another factor that explains visitors boldly venturing all over the city any time of the day or night: Québec City is one of the safest cities in Canada. Just look at the crime severity Index (CSI) for Canadian metropolitan areas for confirmation. The index, which gives information on both the amount of declared crime and crime severity, shows that the Québec City census metropolitan area had a CSI of 45.2 in 2016—the lowest in the country—compared to a Canadian average of 71.0 (the reference of 100 is the Canadian average for 2006). In other words, while the average Canadian crime rate decreased by 29% over 10 years between 2006 and 2016, it declined 38% in the Québec City metropolitan area over the same period. Friendly people and low crime are two good reasons for visitors to explore wherever they please at their own pace. This means they can not only socialize with colleagues during events, but also take every opportunity to chat with locals. You’ll see; you too will feel right at home in Québec City. As an event organizer, you’re no doubt looking for an inspiring and well-situated destination with a reputation for great hospitality. But you’re also looking for a destination that will help you attract as many participants as possible. Québec City has a reputation for boosting conference registrations simply because it offers that extra je ne sais quoi: visitors feel like they’re on vacation even when they come for professional or business reasons. Don’t just take my word for it. Listen to event organizers who observe the “Québec City effect” on a regular basis! Pierre Bolduc of Conferium , a company that specializes in managing international science conferences, told me recently that organizations holding their events in Québec City attract record numbers of international participants compared to when they hold the same events in other North American cities. It’s a good bet that Québec City will be safer than ever July 20 to 25, 2018, when more than 1,000 members of the FBI National Academy Associates (FBI NAA) gather for their annual training conference and exhibition. This association has more than 17,000 members, all graduates of the prestigious FBI academy in Quantico, Virginia. Members come from 50 U.S. states, 170 countries, and more than 7,500 law enforcement agencies. The Eastern Canada/New York State Chapter of FBI NAA is in charge of the Québec City conference. The same event was held in Washington in 2017 and will take place in Phoenix, Arizona, in 2019. I’m confident that the “Québec City effect” will work its magic again, making this conference a resounding success. Here’s wishing all attendees a warm welcome! Québec City is beautiful by day, but wait till you see it at night! Just step outside Hôtel Château Laurier Québec and you’ll understand what I mean. Walk toward Grande-Allée for access to a world of bars, restaurants, boutiques, festivals, and sporting events all year round. In winter, Québec City has plenty of sights and events to enjoy. 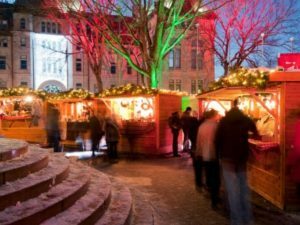 If you love the festive season, you won’t want to miss the German Christmas Market . For the past ten years, it’s been bringing the enchantment of the holidays to life for a month-long run from late November until two days before Christmas. 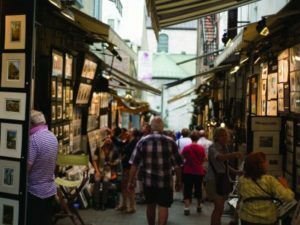 The European-style market sets up in the gardens of city hall, where artists and artisans serve up a feast for the eyes and taste buds in a dazzling setting. It’s the perfect place to revive your inner child! For those who love being in the middle of the action, there’s nothing like joining carnivalgoers at the Québec City Winter Carnival’s famous night parades (February 3 and 10, 2018). If your clients prefer a more cozy setting, opt for the comfort of a Carnival VIP package . The athletically inclined might consider the individual or team events at the Pentathlon des neiges. This extraordinary winter multisport event (skating, snowshoeing, cross-country skiing, biking and running) takes place February 23 to March 4, 2018, on the Plains of Abraham. Sounds too demanding? It’s not just for elite athletes. Amateurs are welcome, too. They can enter the triathlon, cheer on other amateur athletes, or enjoy an evening skate to music on the ice oval. For contemplative types, a walk in the Petit Champlain neighborhood is always a hit any time of year. 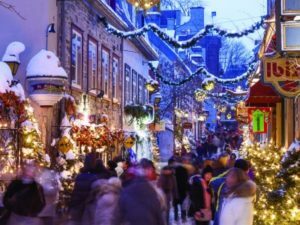 Foodies and curious shoppers will love the restaurants and boutiques, while entertainment buffs will find all the ingredients for a memorable evening at the intimate Théâtre Petit Champlain. From Karen Young and Kim Mitchell to Jean-Pierre Ferland, Étienne Daho, Patrick Groulx, and Avec pas d’casque, the 2018 lineup is rich and varied. For me, Nuit des galeries is a must-attend night-time event in Québec City. Last September 16, more than 35 art galleries and boutiques along St-Paul, St-Pierre, and Sault-aux-Matelot streets, Place Royale and Petit Champlain opened their doors until 11 p.m. Everywhere, music, entertainment, lights, and gourmet hors d’oeuvres created a superb atmosphere for showcasing the work of extraordinary artists and artisans. To top it all off, my sister Nathalie’s canvases were on show at the Québec Art gallery and those of my brother-in-law Miguel Forest at the International. 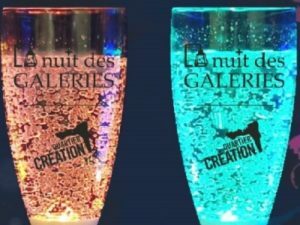 Oh yes—wine was served with the hors d’oeuvres at most galleries and the “admission pass” for the evening was a luminous cup sporting the Quartier création logo. It was a magical night that I’ll never forget! To wrap up, I’d like to take this opportunity on behalf of the entire Hôtel Château Laurier Québec family to personnally wish you all the best for 2018. May the year be filled with exciting professional challenges and happy times with your loved ones! I hope to see you in Québec City soon so you can experience the “Québec City effect” for yourself!